The number of Americans struggling to put food on the table remains at record levels though the Obama administration says the government’s safety net has kept hunger from getting worse. The USDA reports about one out of every six Americans had trouble coming up with enough money to buy food at some point last year. That’s nearly 49 million people – 14.5 percent of the population – a figure virtually unchanged from previous year. That marks a second consecutive year that the USDA’s annual hunger survey has found ”food insecurity” at the highest levels since the government started the report in 1995. On a dimly lit bright side, there has been a very slight drop in the number of people who say things were so bad that they had run out of food, skipped meals or otherwise cut back on eating on one or more occasions. More than 16 million people lived in these hardest-hit homes. “Many of those adults reported being hungry at times because they couldn’t afford enough food,” said Kevin Concannon, the USDA’s undersecretary for Food, Nutrition and Consumer Services. The USDA classifies this as having “very low food security.” For most, episodes of extreme need were “occasional or episodic.” But nearly a quarter of those reporting the worst conditions said it had been a fact of life in three or more months. While the numbers are “cause for concern,” Colcannon said, they would be more troubling if not for a patchwork of 15 federal food aid programs. For example, more than 45 million people are receiving SNAP benefits, formerly known as “food stamps.” And nearly 9 million are receiving aid under the WIC program for women, infants and children. “What is really important to learn is that these numbers did not increase in this past year despite persistent poverty and unemployment right across the country,” Colcannon said. 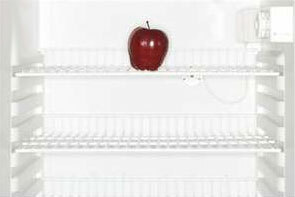 About 6 in 10 struggling households reported receiving SNAP, WIC or government-subsidized school lunches in the survey, conducted last December in 45,000 phone interviews. An expert in psychology and survey research contacted by ABC News via email said “a large academic literature in psychology and other social sciences indicates that answers to these questions are likely to be influenced” by the way they are worded. “So my guess is that these questions are likely to exaggerate the proportion of respondents who said they experienced each of the conditions asked about,” he added. The author of the report, USDA economist Alisha Coleman-Jensen, said the questions had been endorsed by the Committee on National Statistics, a panel of the nation’s top statisticians. And if anything, USDA researchers say, the report understates the problem of hunger because it does not include the homeless.